The version of the BCN stool with a disc base is an adjustable swivel stool. The modernist design of the stool by the designers, Harry & Camila, is distinctive. This is particularly apparent in the striking manner in which the seat is formed by bending back on itself in a ess-shape. An emphasis has been placed on the quality and advanced technology of the materials. 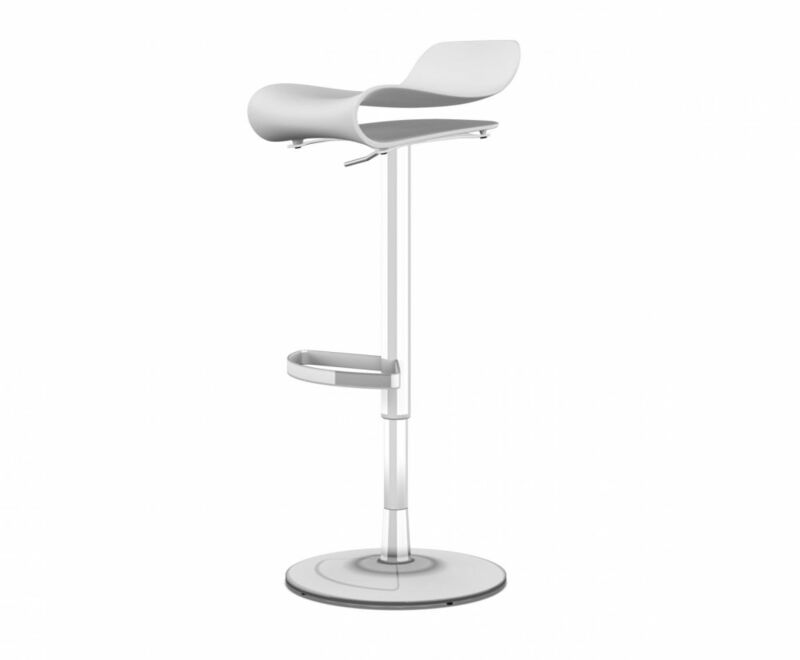 For instance, the seat of the stool is made from polybutylene terephthalate, a highly robust and heat-resistant plastic used in the electronics industry, while the mechanism, which is adjustable in height, is fashioned from steel. The stool comes in colours that are distinctive to this range, namely, white, black, fluorescent green and coral red, with the remaining parts of the structure being a polished metallic silver in colour. The stool is already used by several discerning customers in modern lobbies, restaurants, bars and kitchens from Stockholm to Italy and from London to Berlin. Note: Compared to other colours, black enhances the natural "shading", which is to be considered normal.